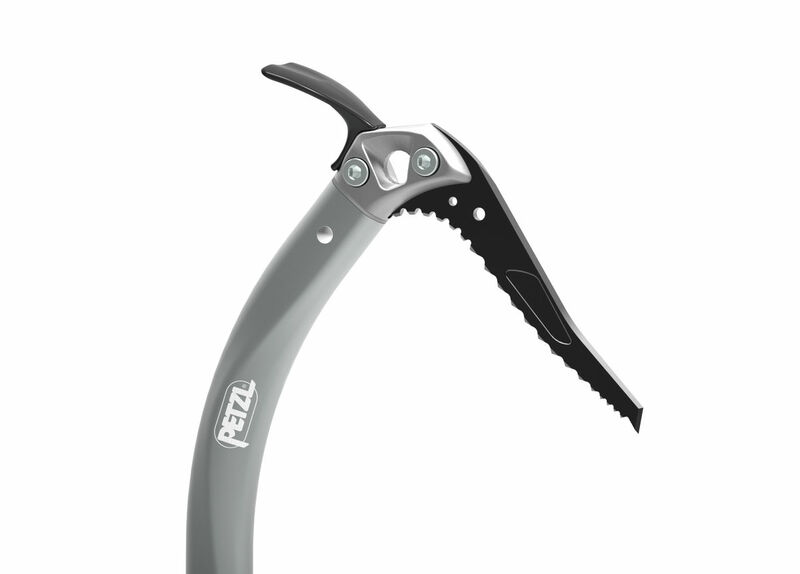 The Petzl Quark is a climber's best friend when it comes to ice climbing or technical mountaineering. Weighing only 465 g (not including accessories), the Petzl Quark is super light weight, making it a great option for snowy colouirs, and it's curved shaft allows for great performance on steeper slopes. The handle is ergonomically designed to ensure good grip with your gloves, and the lower end of the shaft is able to efficiently wade through thick snow. 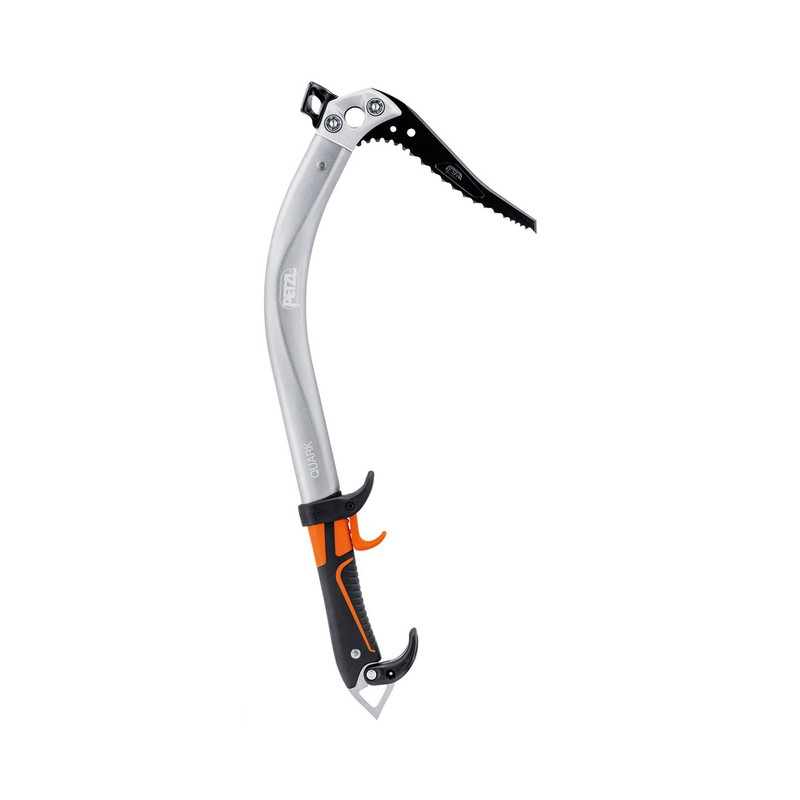 The ice pick is interchangeable, and tapered for deep and secure penetration of the snow and ice, as well as shaped to hook securely on rock as well as ice. 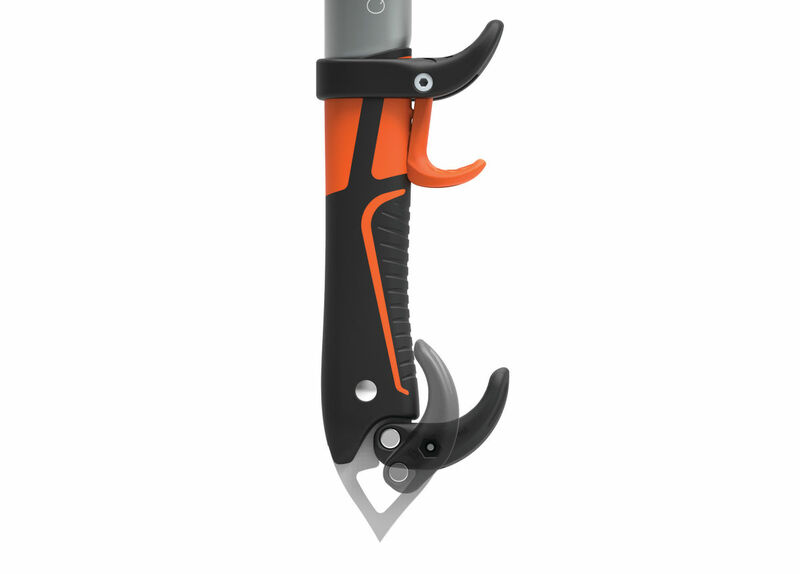 A super versatile, lightweight gem of an alpine tool.